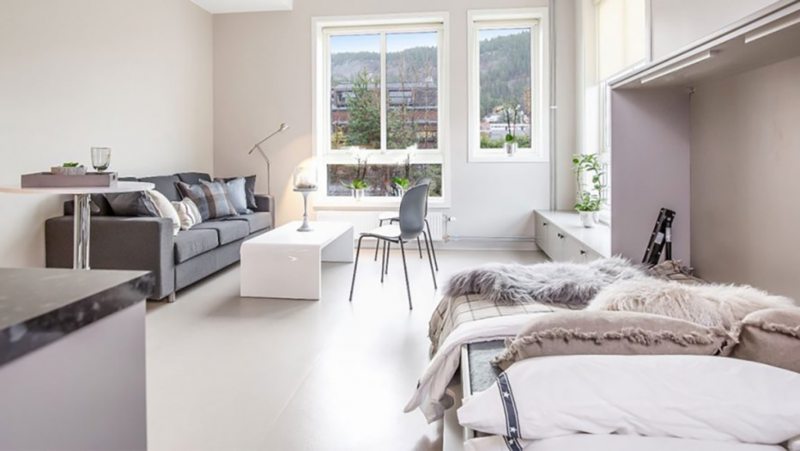 When Origo Eiendom was about to open a new apartment hotel in Drammen, they wanted smart booking solutions easy to use by the guests and that had minimal requirements for the staff. Origo is actually a real estate company that operates mostly with ordinary commercial properties, but they also own an apartment hotel. Since the company does not have a specialized expertise in hotel operations, they decided it would be best to outsource the daily operations of the apartments. “We found this in Hoist Group’s systems,” says Christer Pedersen who is a Real Estate Developer at Origo Real Estate. Since most guests have a longer stay in an apartment hotel than in a traditional hotel and since Origo Apartment Hotel only has 29 apartments, it was hard to defend the cost of a manned reception. “The HotSoft 8 booking system is in many ways the core of our business. Here the guests can choose they duration of stay, apartment type, and pay directly online for their stay. Once the payment is made, the guest is given access to download an App linked to HotSoft and to the electronic door locks, via the Mobile Key solution. That way, guests can check in, come and go exactly as they please, without needing a manned reception, nor meeting them with keys,” Mr. Pedersen explains. Origo Eiendom has had these systems for about two months now and the experiences are good both with the booking and door lock systems, as well as with the online management tool, Serviator, which they use to handle cleaning and maintenance activities. “Via the App, the cleaning staff gets an overview of which apartments to clean, being able to clear the rooms when they are done. If the cleaning staff finds faults and damages, they can report these via the system, so that maintenance staff is notified. They can also take a picture and attach it to show what’s wrong. Serviator also has a function that allows us to measure how long it takes to clean an individual room,” stated Mr. Pedersen. Since Origo purchased the booking system, the door locks with the Mobile Key system, and Serviator all from Hoist Group, all the systems interact with each other efficiently and provide vital information and analytics to the Hoist Dashboard; which allows staff to assess the performance of the products and how they react with guests. Hoist Group is proud to work with Origo Eiendom and looks forward to continuing the relationship as their one and only hospitality partner. Original text by Tom Backe, redaksjonen@mediaplanet.com.